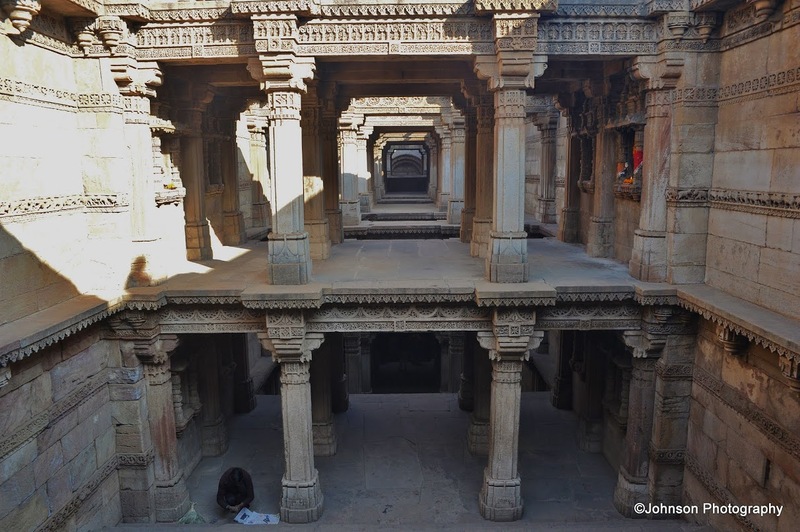 This stepwell is situated in the village of Adalaj 18 km north of Ahmedabad city on the Ahmedabad – Gandhinagar road, in the Indian state of Gujarat. 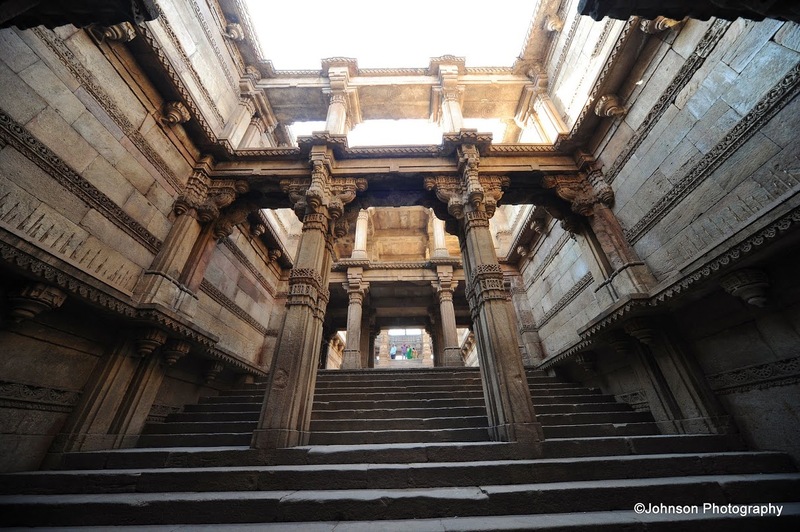 Such stepwells or “Vav”, as it is called in Gujarati, mostly built between the 5th and 19th centuries, are common in Western India and played an integral part in the life of the people of this semi-arid region, as they provided water for drinking, washing and bathing. 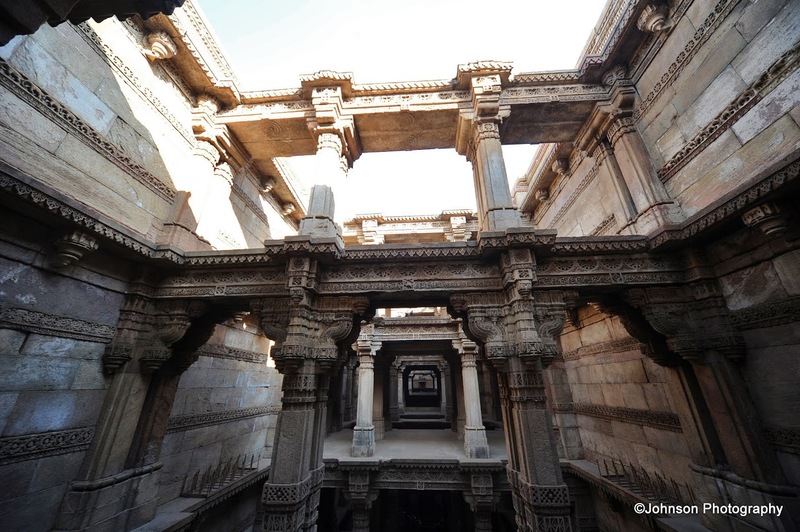 In the past, these stepwells were frequented by travelers and caravans as stopovers along the trade routes. 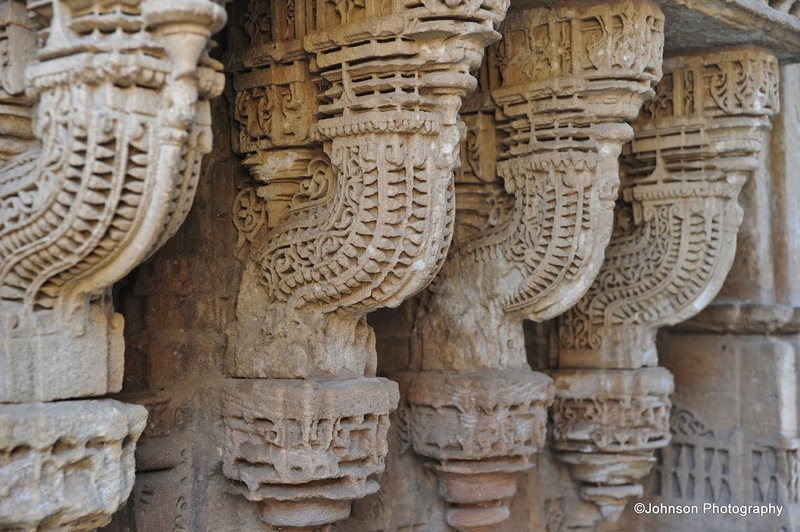 These wells were also venues for festivals and sacred rituals. 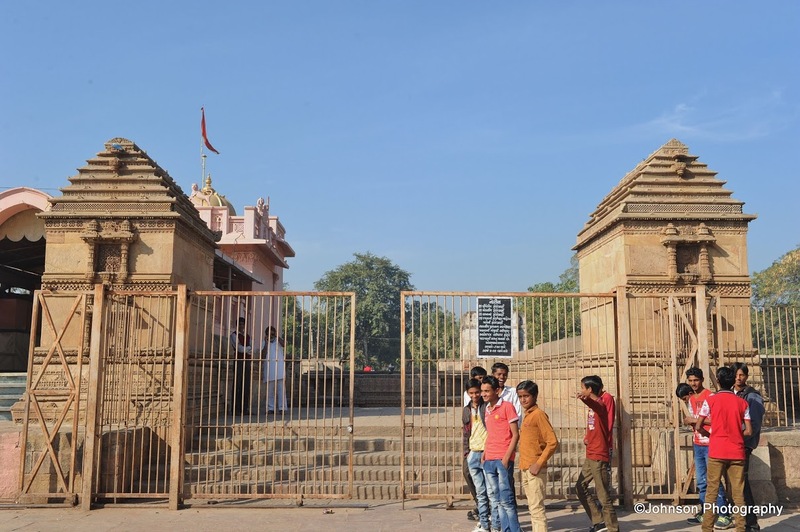 Built by Queen Rudabai in 1499, it has three entrances leading to a huge platform that rests on 16 carved stone pillars with corners marked by shrines. 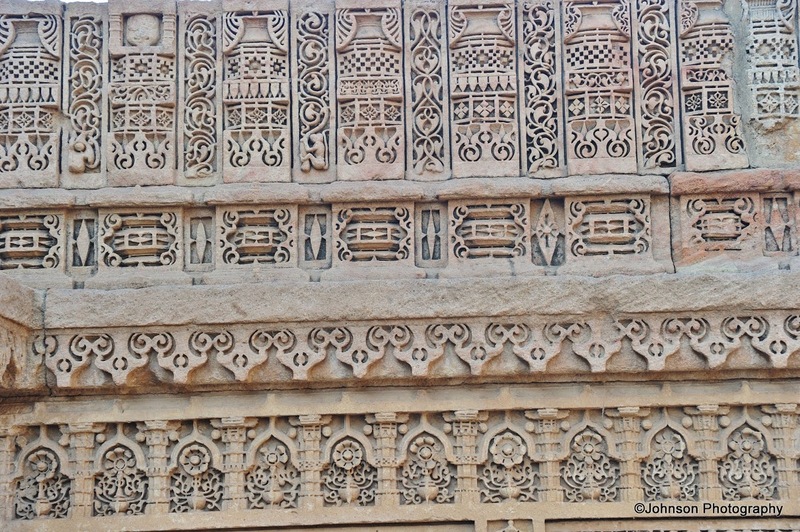 The stepwell is decorated with exquisite stone carvings. 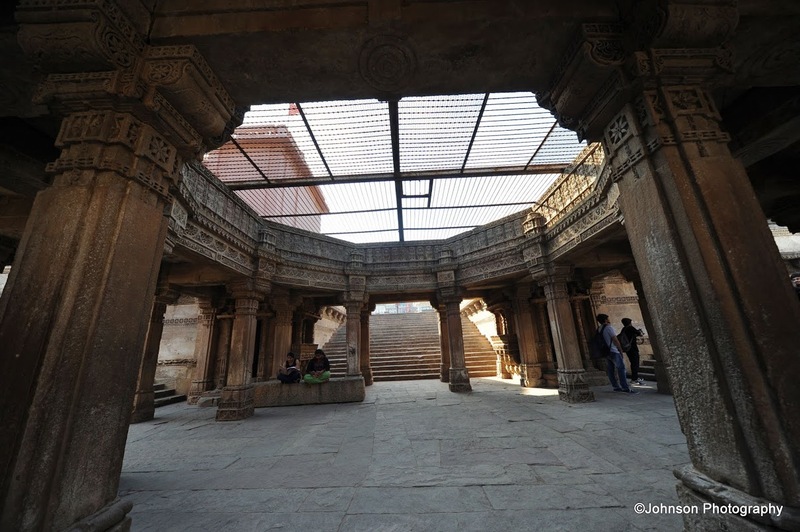 Built in the Solanki architectural style, the octagonal well is five storey deep. Each floor is spacious enough to provide for people to congregate. 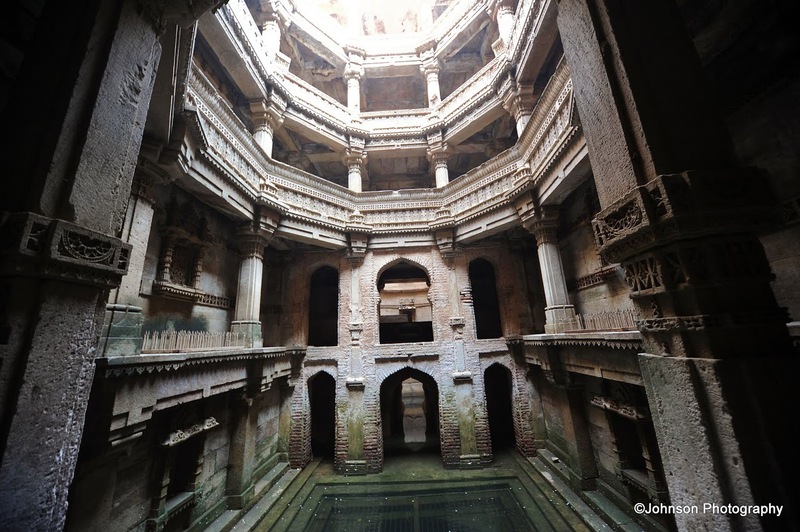 From the first storey level, three staircases lead to the bottom water level of the well. The top part of the well is a vertical space, open to the skies. 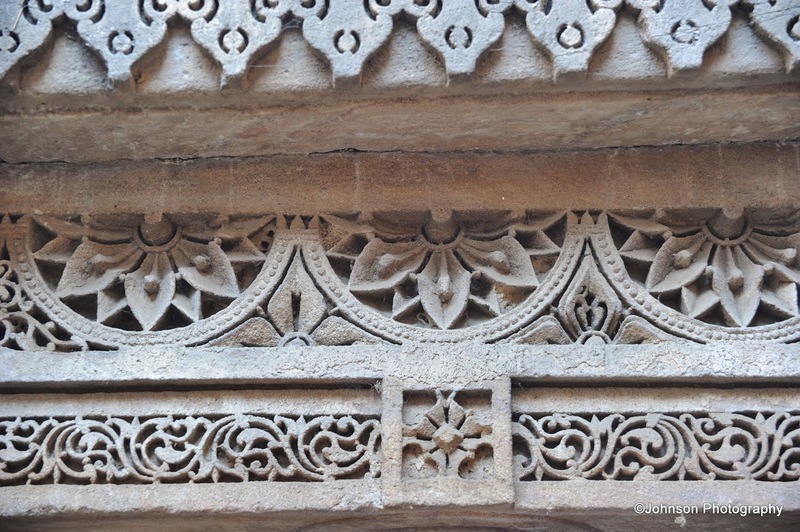 The motifs of flowers and graphics of Islamic architecture blend well with the symbols of Hindu and Jain gods carved at various levels of the well. 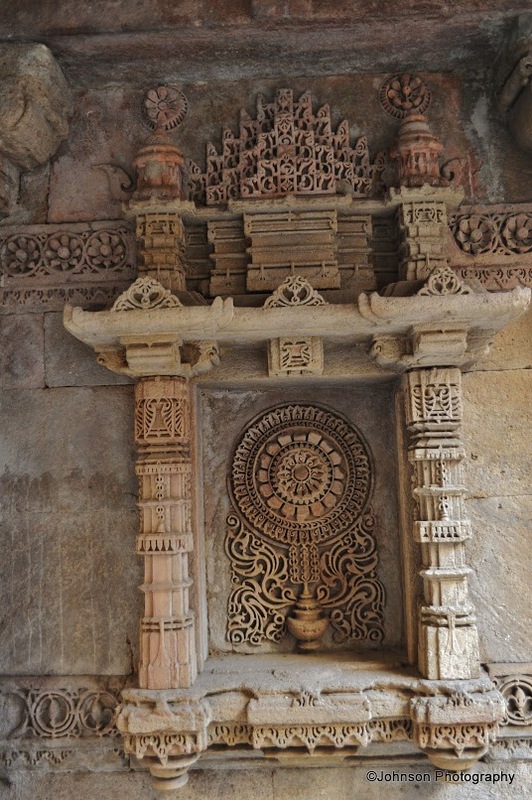 An interesting depiction carved from a single block of stone of the Ami Kumbor (symbolic pot of the water of life) and the Kalp Vriksha (the tree of life). 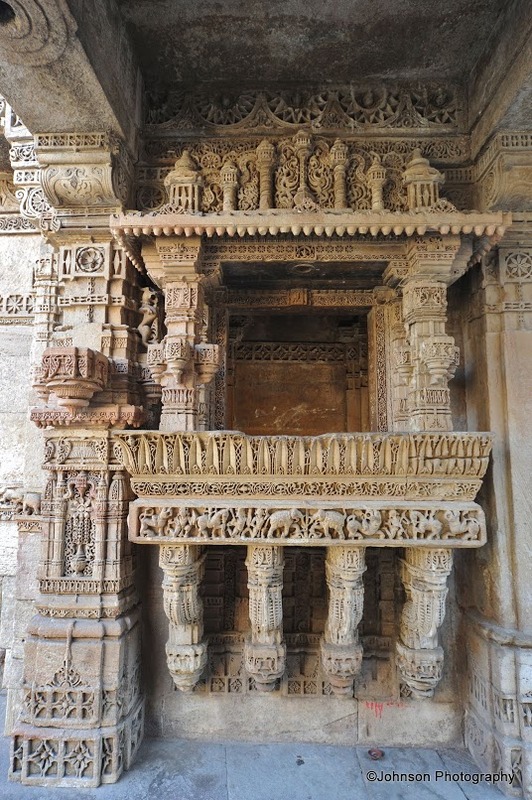 The legend is that the 15th century, Rana Veer Singh of the Vaghela dynasty reigned over this territory, then known as Dandai Desh. His kingdom was attacked by Muhammed Begada, the Muslim ruler of a neighboring kingdom. The Rana king was killed and his territory occupied by the invader. 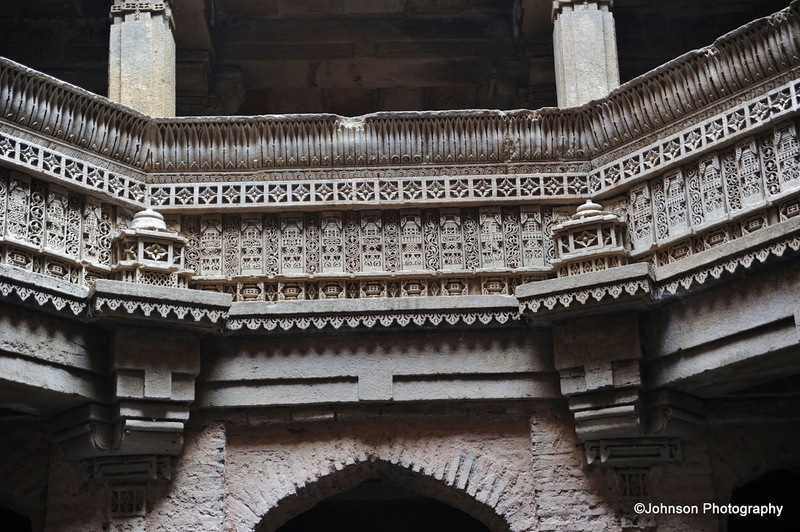 Rana Veer Singh’s widow, the beautiful Rudabai, though in deep grief at the death of her husband, agreed to a marriage proposal by Muhammed Begada on the condition that he would first complete the building of the stepwell. 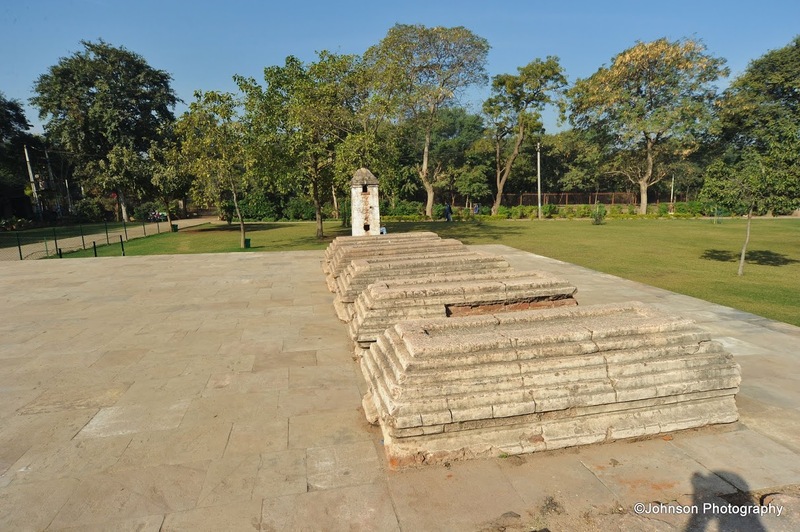 The Muslim king who was enamoured of the queen’s beauty agreed to the proposal and built the well in record time. Once the well was completed, he reminded the queen of her promise to marry him. 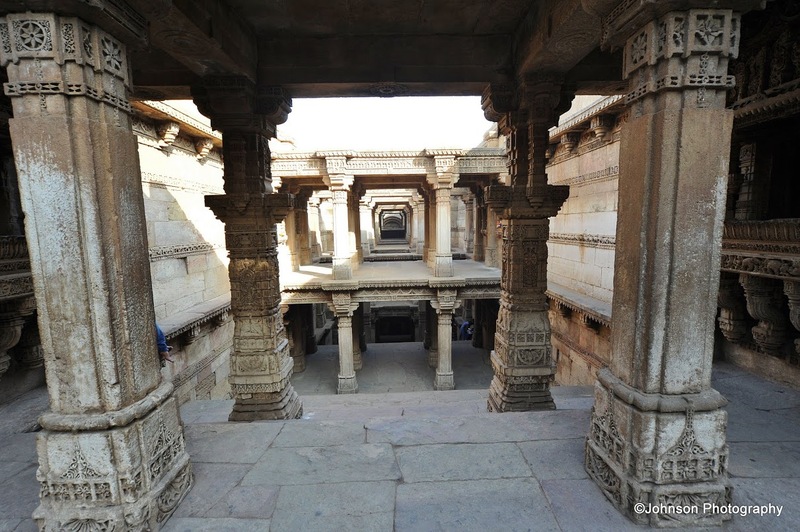 Instead the queen who had achieved her objective of completing the stepwell started by her husband decided to end her life as mark of devotion to her husband. 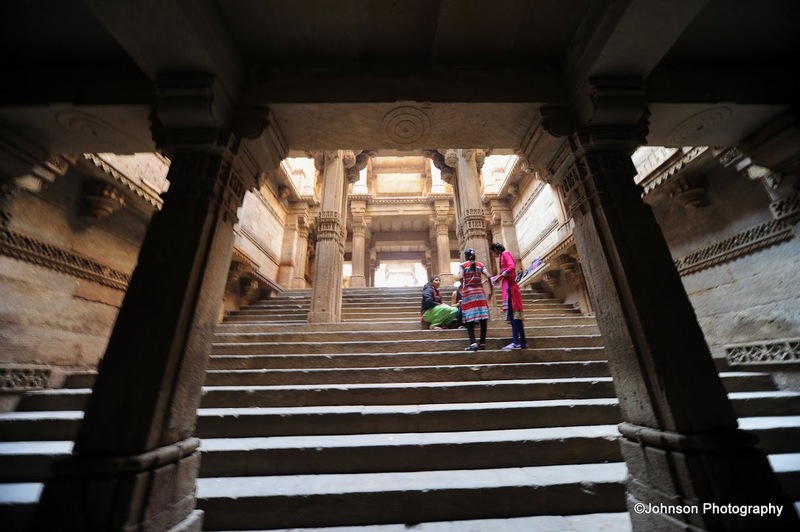 She circumambulated the stepwell with prayers and jumped into the well, ending her life. Another legend is linked to the tombs found near the wells, believed to be of the masons who built the well. 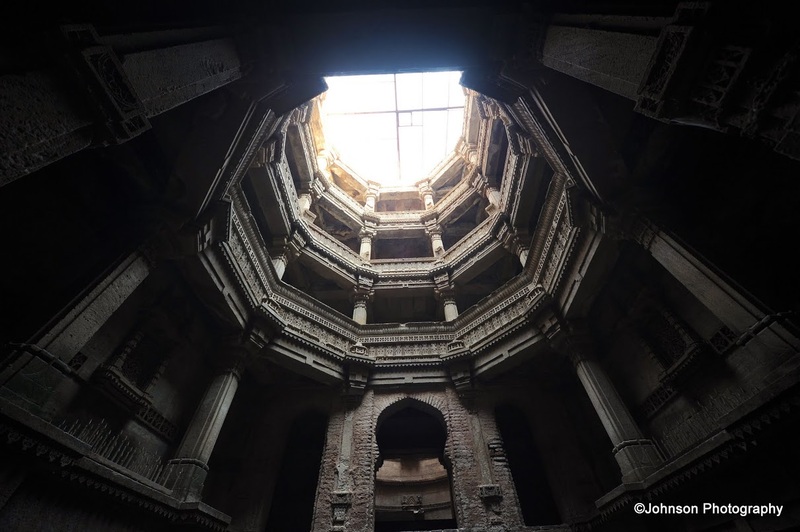 Begada asked the masons if they could build another similar well and when they agreed he sentenced them to death instead. 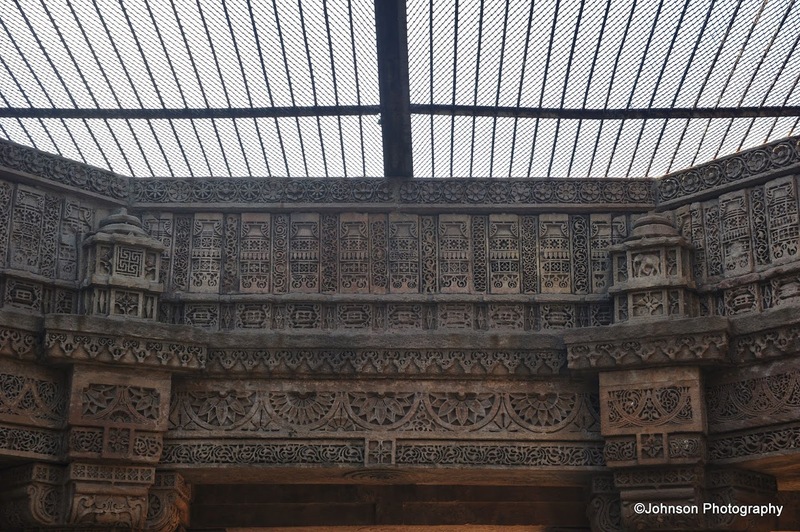 Begada was so impressed by the architecture of the stepwell that he did not want a replica to be built. Amazing architecture! Poor masons- what a bad fate. A wonderful site, and so well preserved. But what a sad tale to go with it. 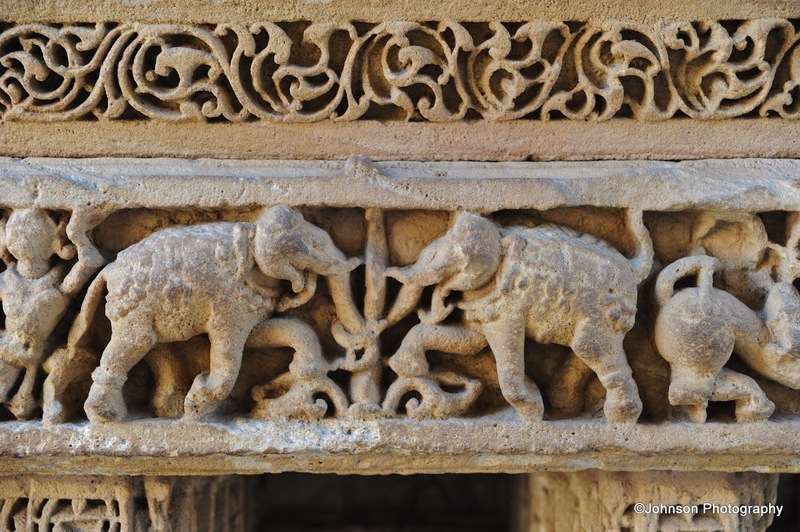 Very sad tale… this is the case with many of the monuments and structures we see today. Amazing picture of amazing architect and history.Happy new year. This was a very interesting and educational post. 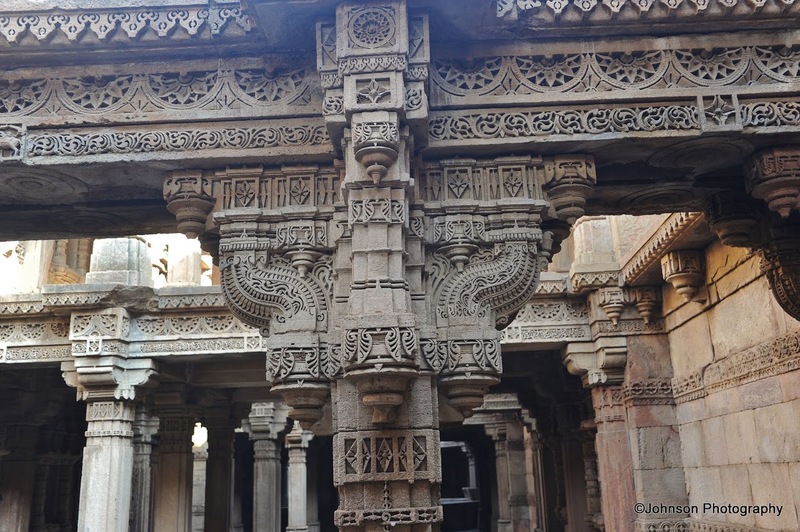 Your photos are great, and I love the stories that come along with the the beautiful structures.